Just the other day I said “Is it too much to ask that everyday be sunny and 68 degrees?” Apparently not since Sunday and Monday’s games were played in weather just like that. The Sea Dogs won three out of four during this Holiday weekend homestand. In addition to playing some solid baseball on the field we had a variety of promotions going on before and during the games. On Sunday we honored some of our NextGen Most Improved Students, we were treated to a performance by the Dance Studios of Maine and a beautiful rendition of our National Anthem by the Choral Arts Society under the direction of Sarah Johnson. Sarah also sang God Bless America during the seventh inning stretch. During the game Prime Motor Group gave away a Kindle Fire to a lucky fan, as they were showcasing some of their cars in our front plaza before the game. 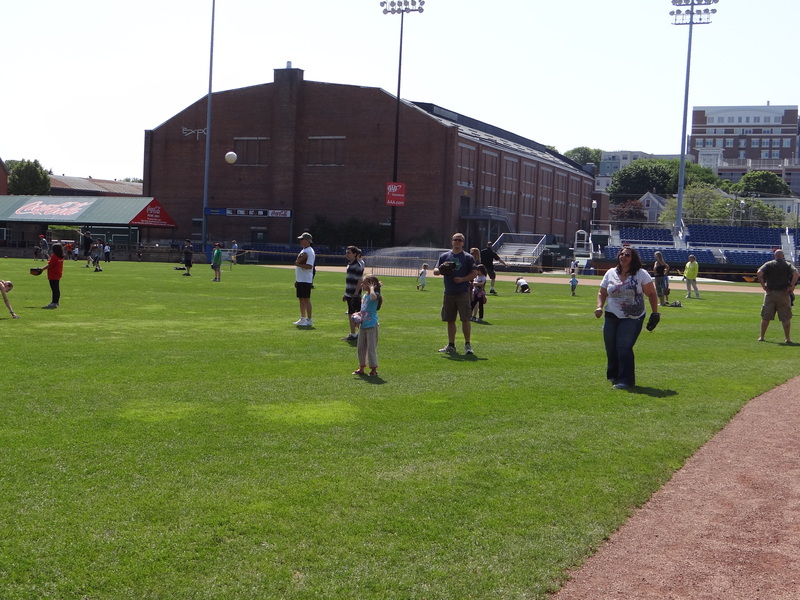 And after the game we had our Sunday tradition of Kids Running the bases, also presented by Prime Motor Group. Before Monday’s game we opened up the gates early for some catch on the field. The weather could not have been more beautiful, proving a rather ominous forecast very wrong. Families played catch under the sun until 11:15am, when we cleared the field so that both teams could begin warming up themselves. 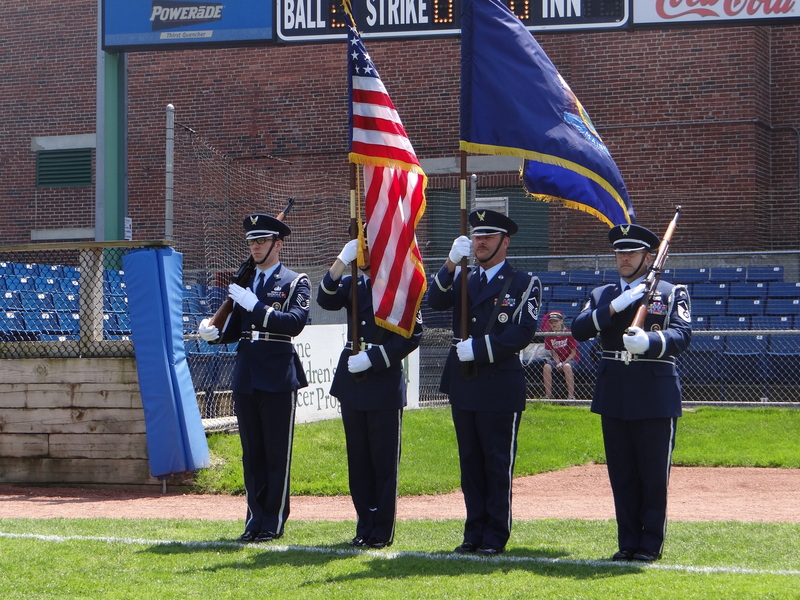 Thanks to the Bangor Daily News, many Bangor families and businesses were able to attend yesterday’s game and take in all of the festivities. Bangor Savings Bank and FairPoint Communications were also supporters of this day. 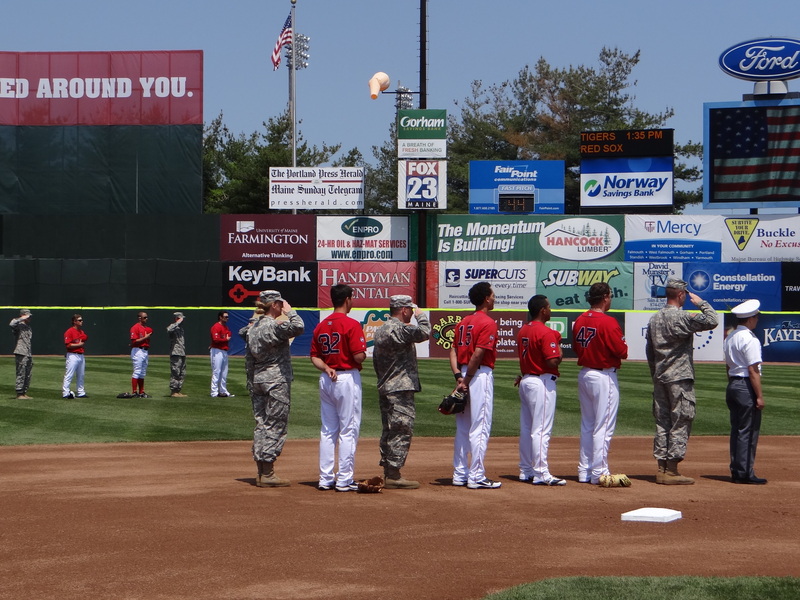 FairPoint provided over 500 tickets to service members and their families. Mark Cater who works at the Military Family Assistance Center in Augusta was instrumental in making sure this day happened. 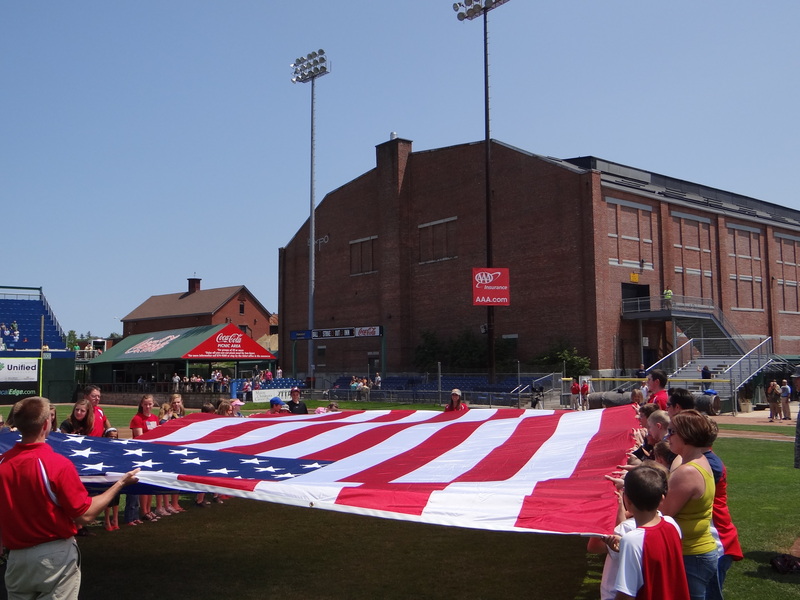 His office coordinated the ticket effort for the military members, as well as provided me with two amazing singers, a color guard, escorts for the Sea Dogs players to start the game, and dozens of kids and other family members to present our big flag. 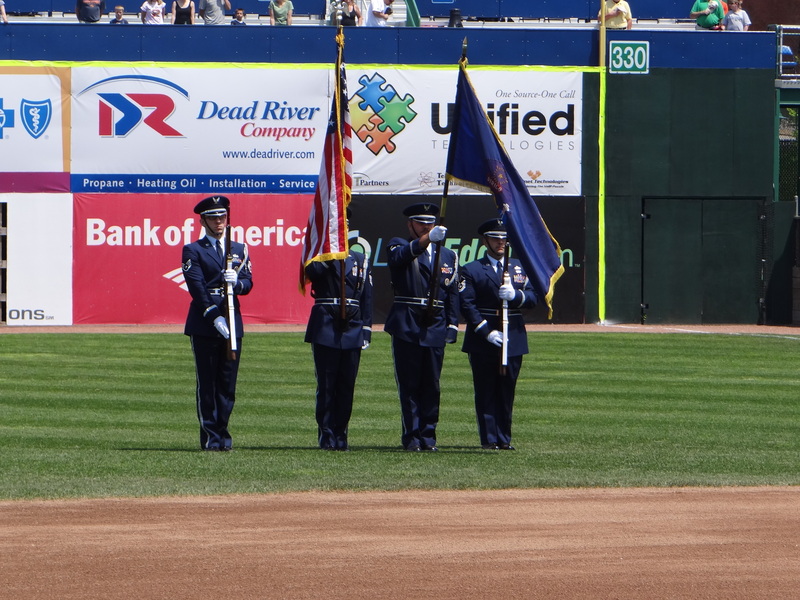 The Air National Guard provided us with the Honor Guard, Air Force Staff Sergeant Joel Crowley sang the Anthem and Army National Guard Staff Sergeant sang God Bless America during the seventh inning stretch. 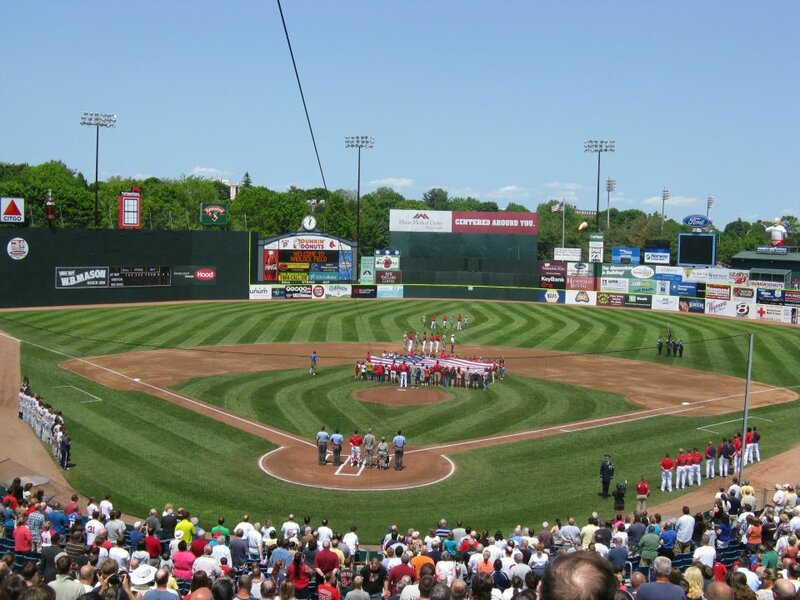 It all rounded out a wonderful weekend at Hadlock. 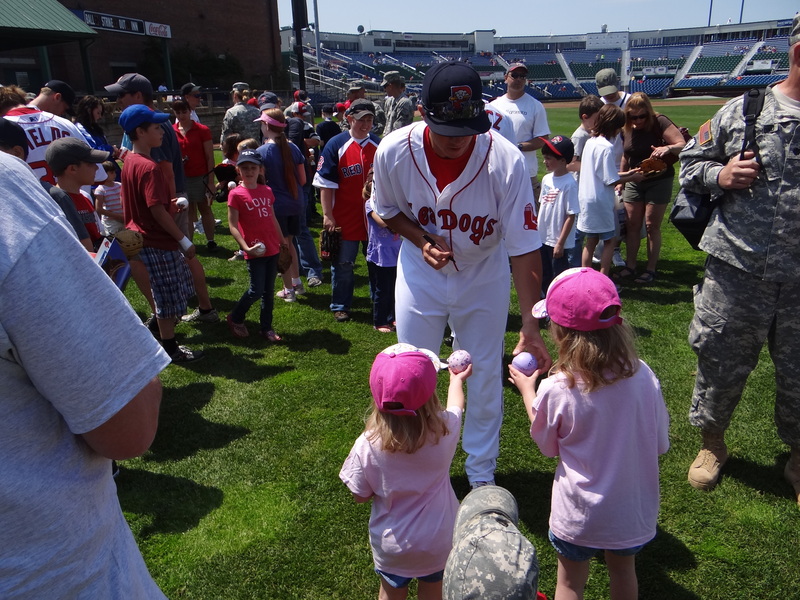 Dogs are away until June 5th, when we start a six day series of games at Hadlock Field!